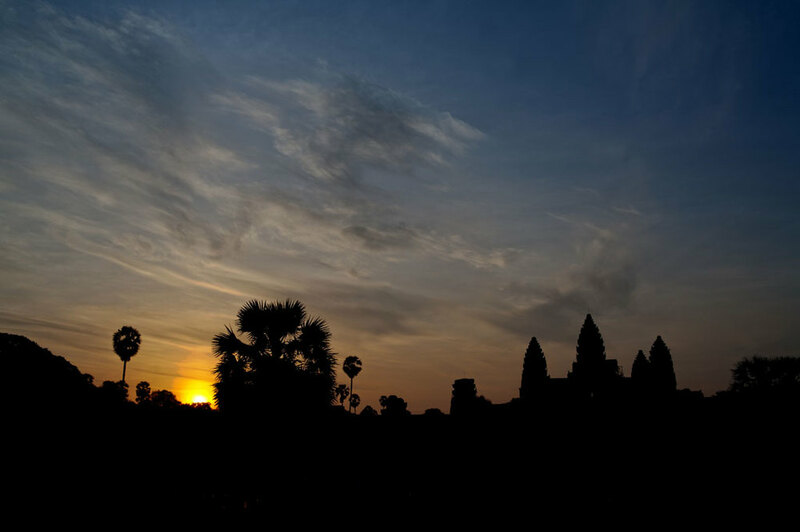 Basic information on the temple sites of Angkor Wat, Ta Prohm, Banteay Srei and the other ancient ruins you'll visit on your tour of this lost kingdom. Siam Reap in Cambodia is located north of Southeast Asia’s largest lake, Tonle Sap. This is the site of the world’s largest temple complex, one of the greatest wonders of the world. 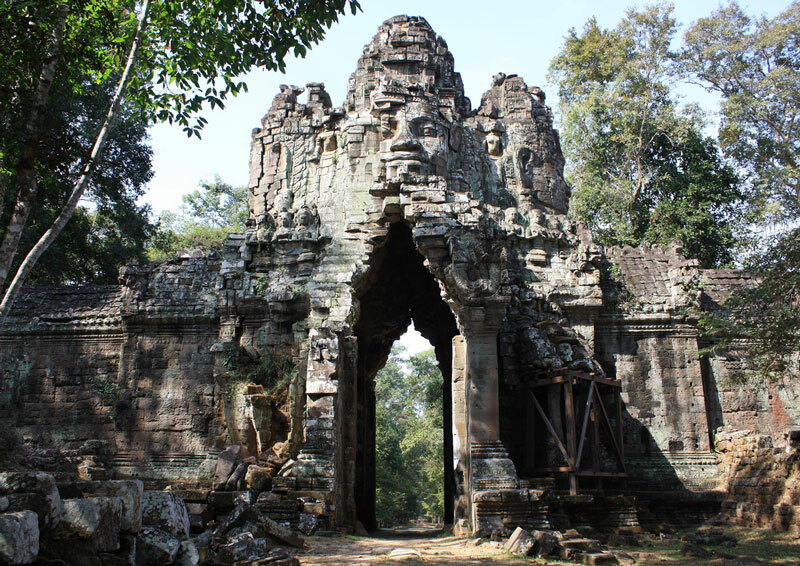 It was built in the 12th Century when the Khmer empire was at its peak. The sheer scale of the place spread over 400 km is quite overwhelming. It is the finest example of Khmer art and architecture. Huge four-sided faces of kings and Gods guard the temple gates. 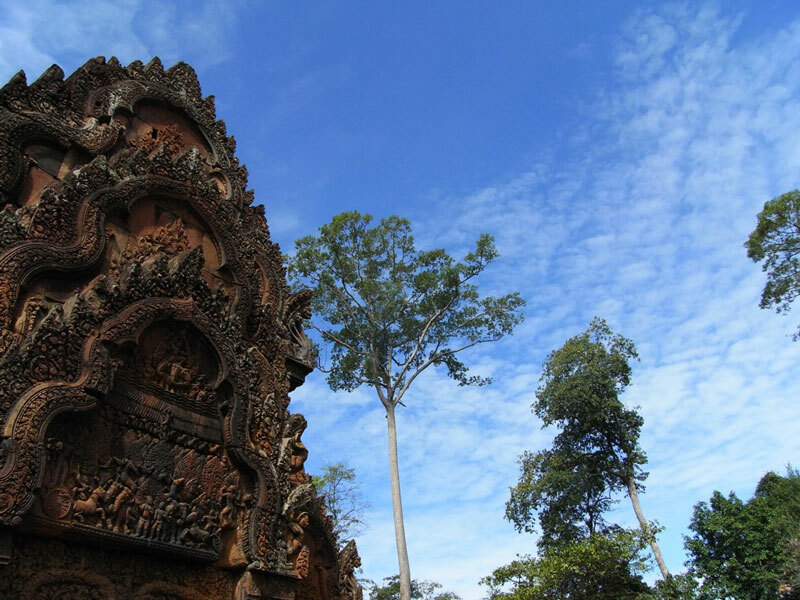 Nature plays an important role here as roots and branches of massive trees intertwine with the ruins, jutting out dramatically from the carved sculptures of Gods and temples. Siam Reap is well connected by air with Thailand, Singapore, Malaysia, Vietnam and Laos. It is about 400 km from Bangkok and can be reached by road as well. Here's a little more information on the temple ruins to visit. 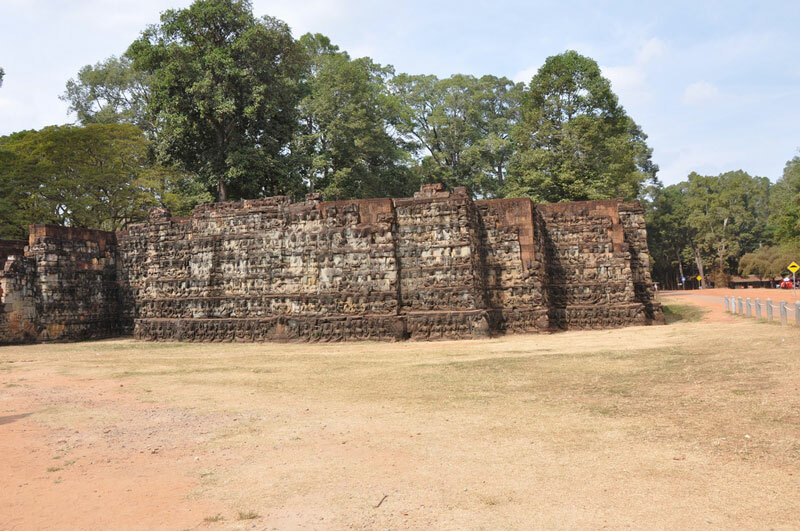 This is the main temple complex- stunning in size and a masterpiece of Khmer architecture. The tall, conical pyramids are enclosed by stone towers connected by long galleries. The entire complex is surrounded by a wide moat. 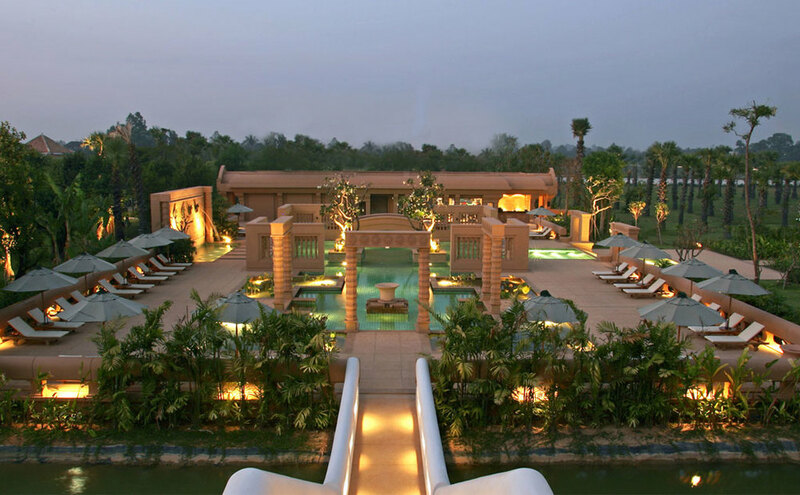 The intricately carved out bas reliefs in the galleries depict the stories from the Ramayana and Mahabharata. Located 2 km from Angkor Wat is the old capital Angkor Thom, which was the centre of administration and the royal residence. Surrounded by a moat and a high wall it is said to have accommodated a million people and can be entered by five different gates. The south gate is the most visited. Here you can see the Baphuon Temple, the Bayon, the Terraces of the Elephants and the Leper King and the temple of Phimeanakas- all spectacular sites. 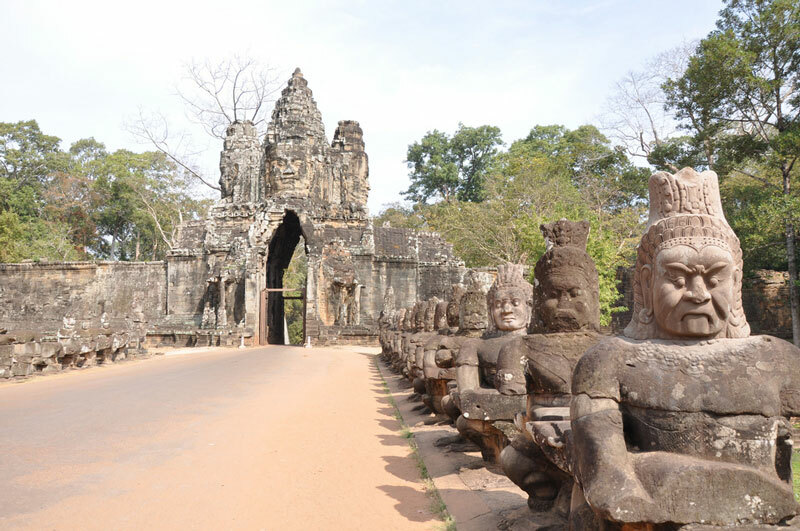 This is one of the must-see sites in Siem Reap located near Angkor Wat and Bayon. What makes it a truly remarkable sight is the way the roots of trees have wrapped themselves around the temples and are actually holding the monuments together while tearing them apart. The gigantic roots of the fig and banyan trees are a spectacular sight. Ta Prohm was left unrestored for years and the wild, untamed energy of this temple complex is quite special. Carved in pink sandstone, this temple was the women’s pavilion. It has the most delicate and well preserved carvings and bas reliefs. Smaller than the other temples, it is the most beautiful among the entire lot. It's about 25 km north of Angkor Wat. This mountain temple is built on a hill offering a panoramic view of Angkor Wat and Angkor Thom. The hill represents the centre of the world, Mount Meru, according to Indian cosmology. It's a great place to watch a sunrise or a sunset. 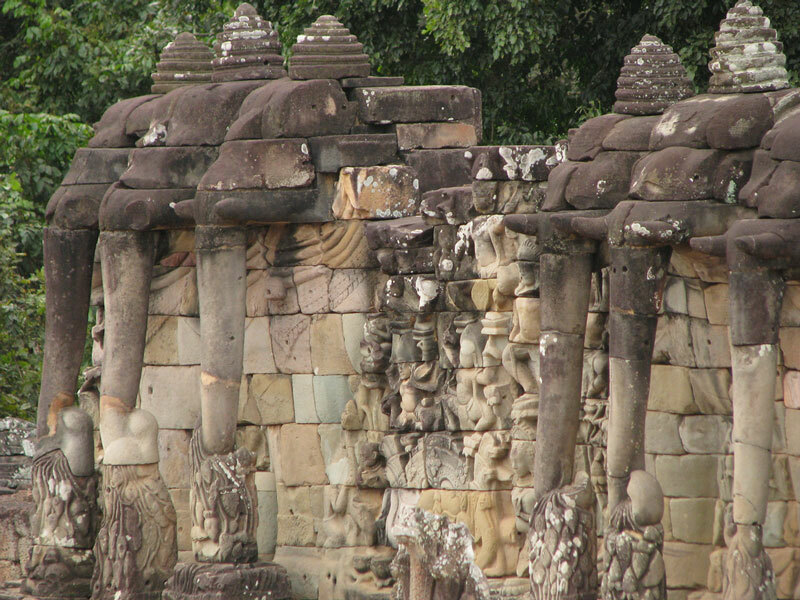 This group comprises three temples, Preah Ko, Bakong and Lolei. 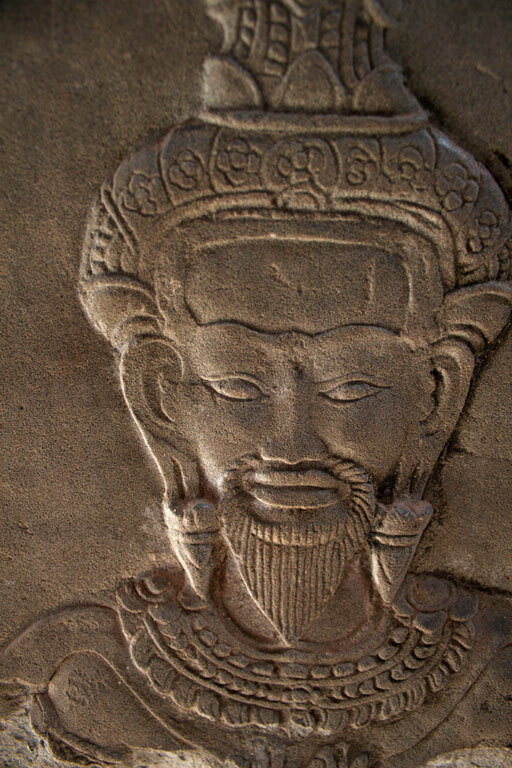 The Preah Ko has the statue of sacred bulls at its entrance. Lolei temple is guarded by sacred lions. The carved doors, lintels and columns are exquisite. 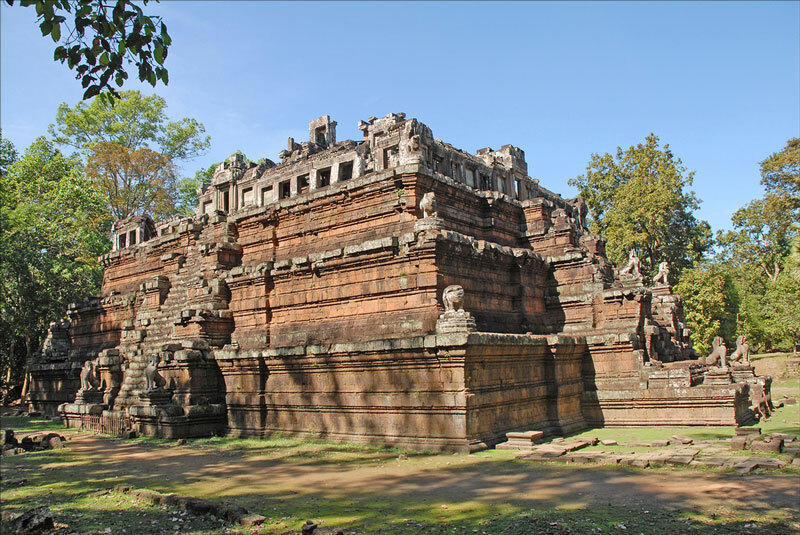 The Bakong is the most impressive temple- built in the 9th Century- which became the prototype for other temples. The temples are located about 4 km from the Tonle Sap lake. Is a small island shrine 3 km from Angkor Wat. Sculpted serpents encircle the base of the shrine. This is a holy Buddhist shrine and the waters are said to have healing properties. About 50 km north of Siam Reap is Phnom Kulen, the most sacred mountain in Cambodia. There is a Buddhist temple, a river and a waterfall in this area. The temple houses a large reclining Buddha statue carved out of a single boulder. Is known as the river of a thousand lingas and is about an hour’s drive from Siam Reap. It is in a heavily forested area. The river bed is embedded with sculpted stone lingas. A waterfall completes the picture.